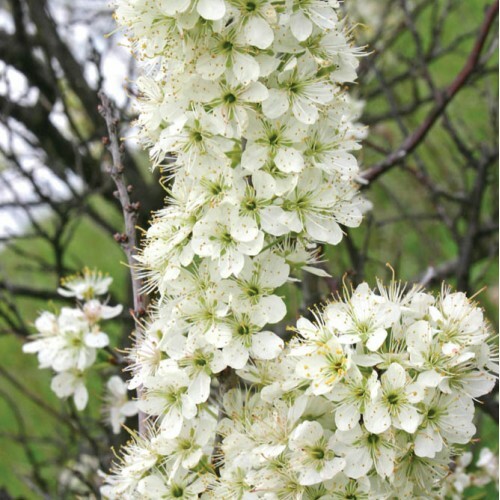 This dwarf strain of beach plum was developed by selecting a few plants from thousands of seedlings that fruited in one or two years from seed. The precocity of this strain provided us with enough seed to create the 'nana' seed source. 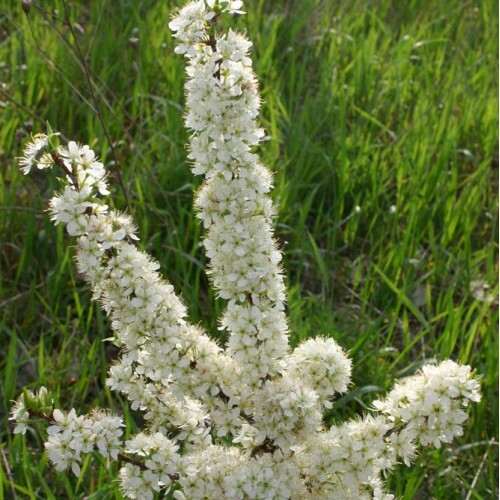 Nana represents a more compact seedling form which comes true from seed which makes the plants produce a more spur type habit meaning greater yield along the stems. The fruit size is the same or slightly smaller than other beach plums. We now are using three generations of this beach plum to grow our nana seedlings. 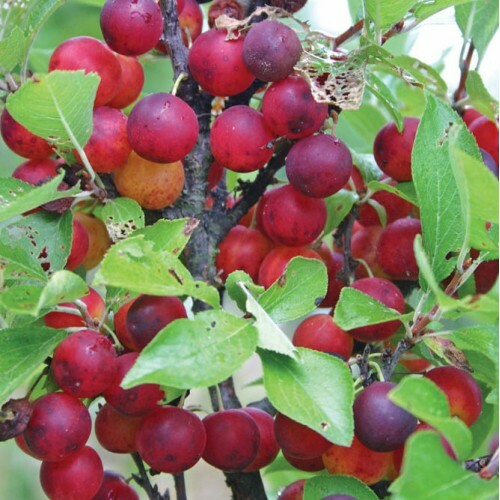 You can also purchase seeds of it should you want to create your own nana farm of plums. 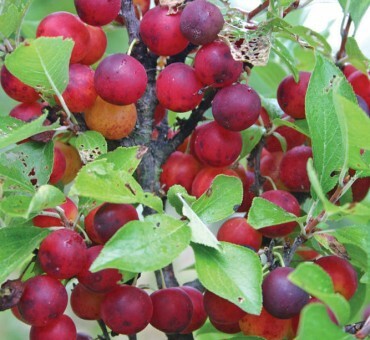 Need two plants to fruit-any two beach plums of any type will work even if they are the same strain. Sandy or loam. Not so good in clay but adaptable. Doesn't need seashore soil. Cold, dry and windy works. Zones 3-8. Not too good in areas with high air moisture which causes fungal problems. Anyone can fruit this. Very easy to grow and fruit. Very few problems if any! Especially resistant to insect damage including curculio.